Want a CTL that's more able? Choose a 333D CTL. 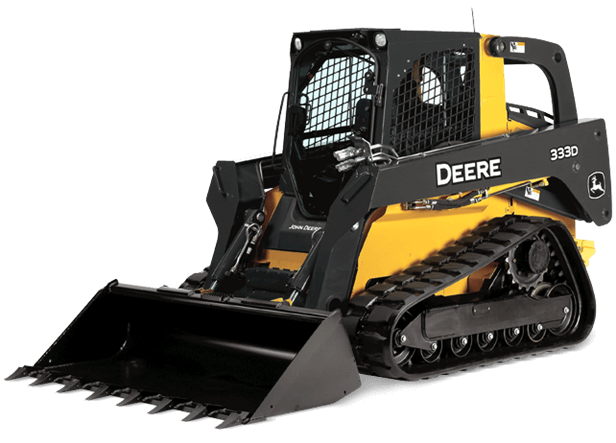 With more breakout force, tractive effort, ground speed, and bucket capacity, all D-Series Compact Track Loaders deliver unmatched performance in virtually every significant category. And with their optimal weight distribution, low center of gravity, high ground clearance, and superior balance, no other CTL is as stable. Or as sure-footed on slopes. With their go-everywhere undercarriage, standard auxiliary hydraulics, and universal Quik-TatchT, D-Series CTLs are highly versatile machines. To take full advantage of their capabilities, add any of the many available Worksite ProT attachments. Our ever-expanding lineup includes more than 100 choices that can help you get work done more easily. And expand your business opportunities.